It's no secret that the are several world-famous Water Parks in Thailand and for a very good reason too. Thailand's weather as you probably know can get extremely hot and what better way to cool off from the heat than to spend the best part of your day splashing about in wave pools, or as an adrenaline junkie in one of the high-speed water slides. Or you can simply relax in the sun. 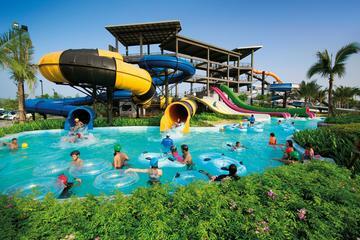 The water parks in Thailand are geared up for all ages making this an ideal getaway for the whole family. Some of the better-known water parks can be found in Pattaya, one and a half hour drive from Bangkok. 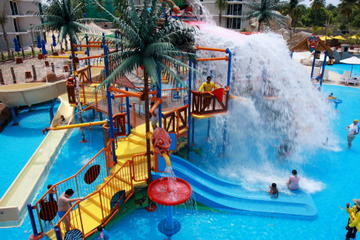 Ramayana Water Park is one of the biggest water parks in South East Asia. It's located in Sattahip just fifteen kilometres south of Pattaya. What makes Ramayana such an amazing water park is that they have an awesome amount of water slides here. In fact, there are more than twenty of them to check out here. You'd have to come back here several times if you want to go through all the ones that grab your attention. They range from the most exhilarating slides for adults and grown-up kids to the more gentle swings for the little ones. Apart from the twenty-odd slides here, there is a massive double wave poo and lots of other smaller pools for either relaxation or other water related activities. All the water here is crystal clear and comes from the park's own wells. Or how about the meandering river that reveals some mystical caves, geysers and big bubbles. 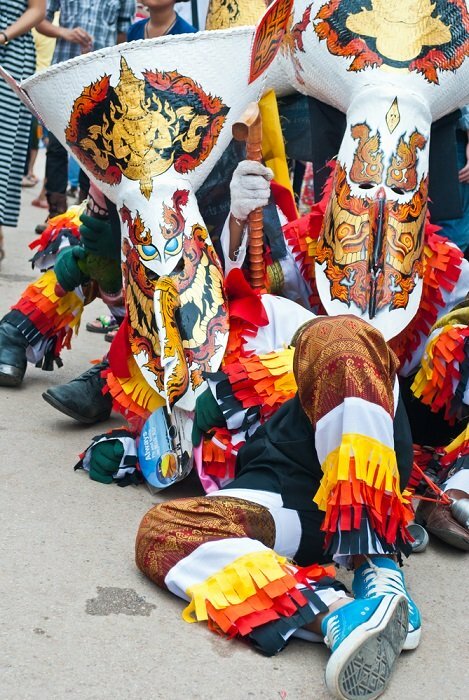 And because Ramayana is built on a long forgotten and ancient city, there is much to explore from bygone buildings to spectacular waterfalls. There is something for everyone. Ramayana is open daily from 10:00 am until 6:00 pm. And while you are here and have a little extra time, why not visit Thailand's biggest floating market to experience an ambience that encompasses nature at its best with lakes, rivers and green hills. To give you an idea of just how many water facilities there are, I have listed a few of the major water parks in Thailand. 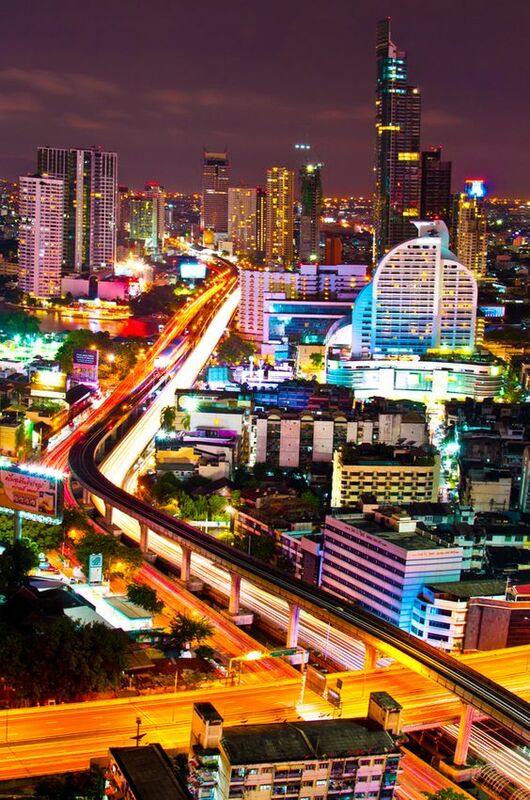 In Bangkok, you'll find Fantasia Lagoon, Siam Park City and Pororo Water Park. In Pattaya, you'll find Ramayana and Cartoon Network Amazone Water Parks. In Phuket, you'll find Anthem Wake Park and Splash Jungle Water Park. On the island of Koh Samui, you'll find Pink Elephant Water Park. In Hua Hin, you'll find Black Mountain Water Park and Vana Nava Water Jungle. In Chiang Mai, you'll find the Grand Canyon Water Park. In Phetchaburi, you'll find Santorini Park Waterventures. In Prachuap Khiri Khun you'll find Kite Cable Thailand Water Park. In Surin, you'll find Saran Water Park and in North East Thailand you'll find Usotel Waterland and Chiang Khan Water Park. For your convenience, I have included some of the best water park tours you can take situated in Pattaya, Phuket and Hua Hin. If you'd like to take the hassle out of going to Ramayana Water Park on your own you can simply book a full-day pass including admission and transfers to and from your hotel in Pattaya. This way you wouldn't have to worry about driving there yourself and having to negotiate all that traffic. You can simply relax knowing that all the arrangements are taken care of. You will find all the details above. Booking your tours from this page (at no extra cost to you) would not only give me a little pocket money, but you'd be helping me maintain this blog so that I can continue giving you more Thailand travel info. 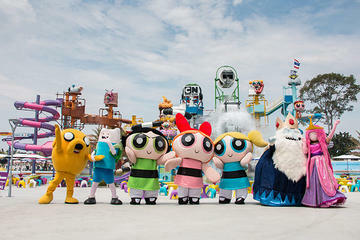 Cartoon Network Amazone is Cartoon Network’s first and only fully-branded waterpark. It's Located in Bang Saray, 15 kilometres south of Pattaya on Thailand’s Eastern Seaboard. The development comprises 10 themed entertainment zones each one offering an array of exhilarating water coasters and attractions. The waterpark also features captivating live and multimedia entertainment that incorporates the latest in interactive technology thus bringing fans of Cartoon Network closer to their favourite characters than ever before. The Black Mountain Water Park is spread out over 130,00 square feet (40,000 square meters) of land and is situated just fifteen minutes from the centre of the town Hua Hin. This is one of the most popular tourist attractions in the region. At Black Mountain, you'll be able to enjoy all exciting attractions that this water park has to offer including a 55-foot (17 meters) high tower with nine different slides, a spectacular wave pool as well as a lazy river, beach come infinity pool, and a children’s pool. Here you'll get to experience all the fun activities for a whole day with your family and friends. You'll find all the details for the day pass on the link above. Come and cool off from the tropical heat in Phuket at Splash Jungle Water Park. This water park is perfect for children and fun for the entire family. 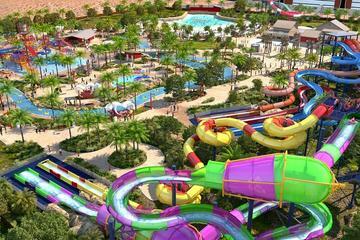 Here you'll find tonnes of pools and water slides for a wet and wild ride. There’s plenty here to keep you entertained for the whole day. If exhilarating thrills and spills like the Boomerango and Super Bowl aren’t for you, you can always opt for a leisurely float along the Lazy River. Also available is a round-trip transport to ease the transition to and from your hotel. All you have to do is check out the link above for all the details.